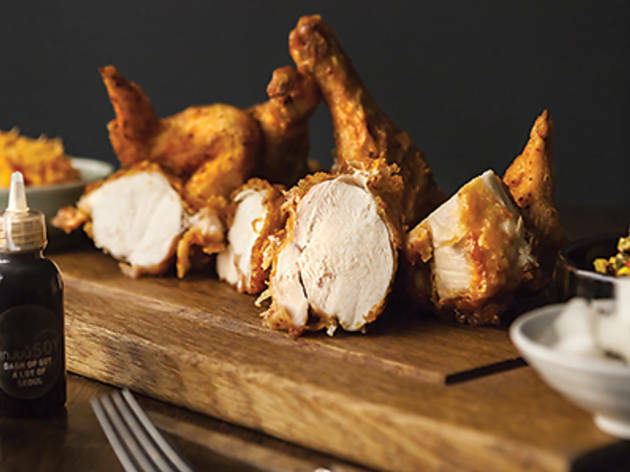 This restaurant is helmed by celebrity chef Judy Joo, a Korean-American with an extensive CV that includes training at New York’s French Culinary Institute, stints at Gordon Ramsay restaurants and opening the first Jinjuu in London. This Hong Kong branch boasts incredible varieties of bibimbap which are served in traditional stone bowls and come with vegetables and an egg on top, alongside the gochujang. Add a range of toppings, including cabbage kimchi, bulgogi, thinly sliced marinated iberico pork belly or tofu. We recommend the sautéed Thai Gulf king prawns for a unique experience. $130. 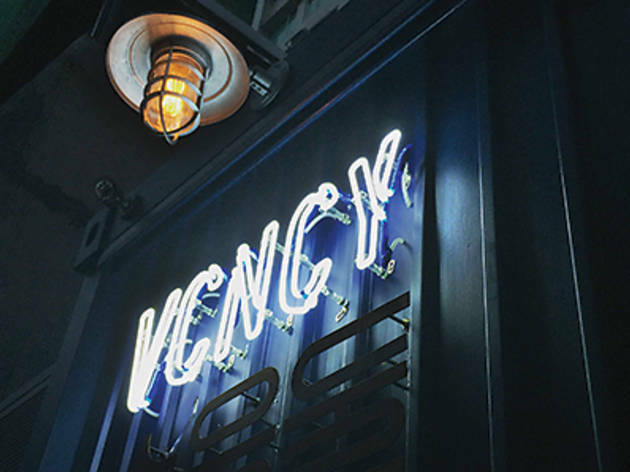 Just where the bars and restaurants spill out on Peel Street below Staunton in Central lies casual eatery VCNCY, which is a buzzing spot that serves up Korean-American bites and cocktails. And one of the stars of the show is the bone marrow and mushroom bibimbap. The creamy bone marrow adds a smoothness to the crunchy vegetables. There’s also a satisfying tang from the kimchi and some delightfully crispy rice that you can claw from the bottom of the stone pot. Wash it down with a makgeolli sour cocktail and you’re all set. $168. 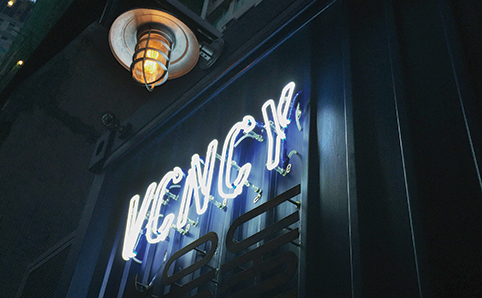 This adorable hole-in-the-wall joint opposite Wan Chai’s The Pawn has this year been recommended in the Michelin Guide’s inaugural street food list thanks to its excellent Korean bites. Not only is the food fantastic here, there’s also a large TV blaring out K-pop videos to add to the authenticity. 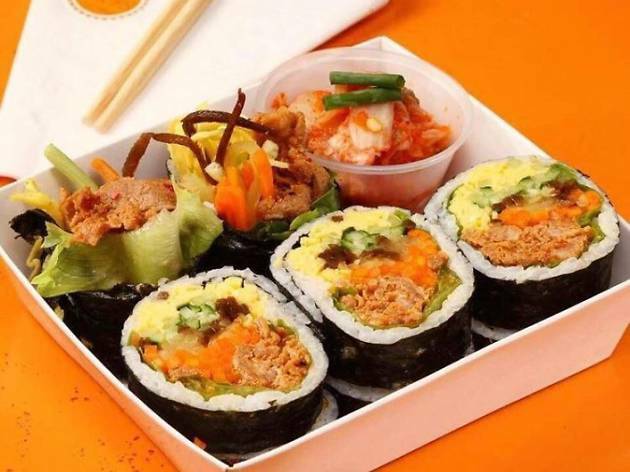 Top dishes on the menu include kimbap seaweed rice rolls, fried chicken and, of course, outstanding bibimbap. Named after owner Eun Ha Yoo’s daughter Kelly, it’s the restaurant’s use of fresh ingredients in the delicious kimchi bibimbap that make it one of Hong Kong’s best. $60. 55-61 Johnston Rd, Wan Chai; 2529 9984; fb.com/kellyswanchai. 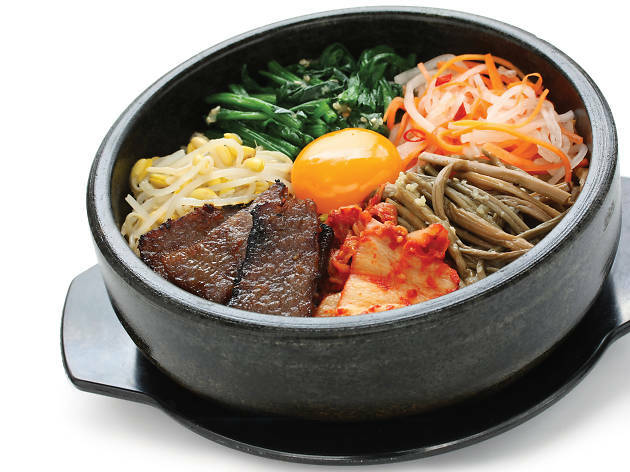 It shouldn’t come as a surprise that one of TST’s, nay, Hong Kong’s most legitimate Korean barbecue joints serves up some of our city’s best bibimbap. Both the pork and beef stone pot varieties are fresh and authentic, making them the perfect accompaniments to the inevitable onslaught of grilled meat and soju around the barbie. Hell, the whole menu’s fantastic here. 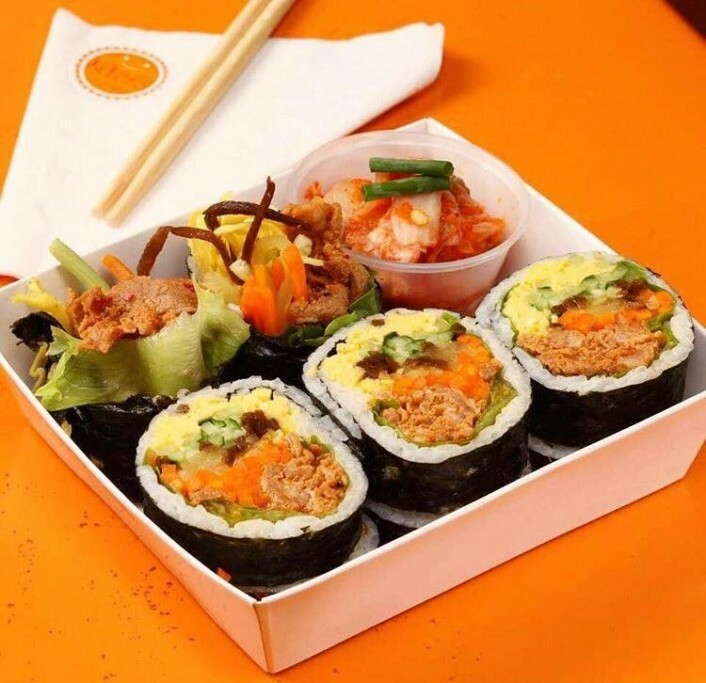 Do as the Koreans do, screech ‘mashittda’ – ‘delicious’ in Korean – and knock back copious amounts of booze with your bibimbap. $78. 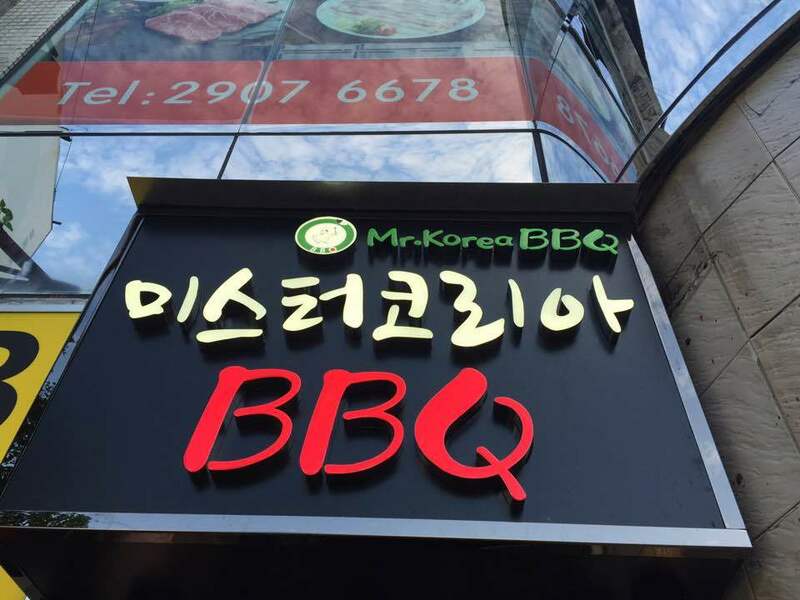 1/F, Surson Comm Bldg, 140-142 Austin Rd, Tsim Sha Tsui, 2907 6678; mrkoreabbq.com. With outposts in Causeway Bay and the airport, Sorabol is a popular joint. 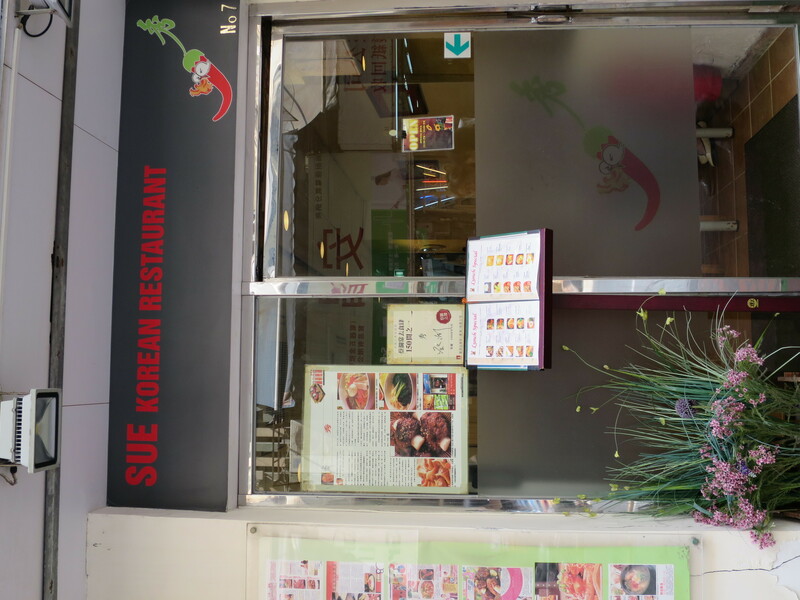 And its TST branch, on ‘Korean Street’ – Kimberley Road – serves up some of Hong Kong’s tastiest bibimbap. Sorabol has been a Korean institute in the city since 1993 so it’s safe to say the chefs are doing something right. 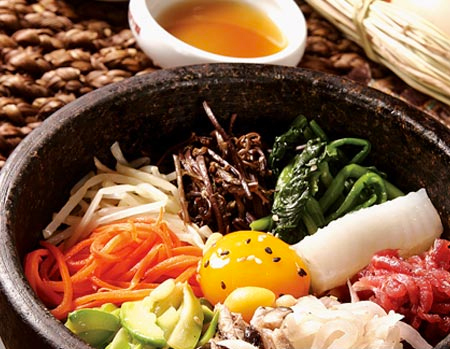 As well as the barbecued and hotpot dishes, there’s a huge variety of Korean classics to choose from, including the raw beef hot stone bibimbap that arrives with a raw egg. 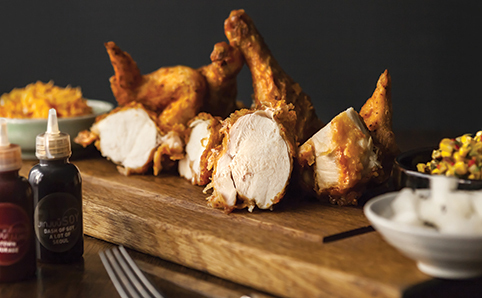 Watch it sizzle to perfection before your eyes. $72. Shop 4B, 4/F, Miramar Tower, 1 Kimberley Rd, Tsim Sha Tsui, 2375 2882; sorabol.com.hk. Another Kimberley Road K-paradise. This small, crowded joint doesn’t look much from the outside and ain’t exactly pretty inside either, but it’s packed out come lunch and dinner – and well worth the wait. The diners tend to be mostly Korean – a good indicator of authentic eats. The kimchi is fermented to perfection and you can find less common dishes like budae jigae – ‘army stew’ – and cold buckwheat noodles. 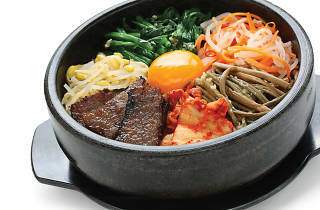 Served in a sizzling hot stone pot, its bibimbap is hearty and filling. $50. 7 Kimberley St, Tsim Sha Tsui, 2311 0133.